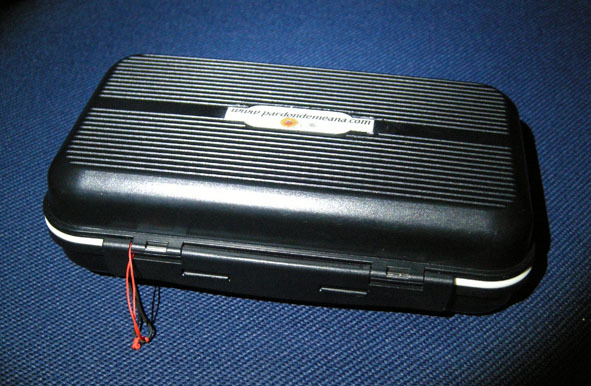 Here you can see pictures of some models. At the moment of placing the order you can select more colour options for bodies and ribbings. TAKE ADVANTAGE OF OUR SPECIAL PROMOTION! 100 units PM + waterproof gift special box. 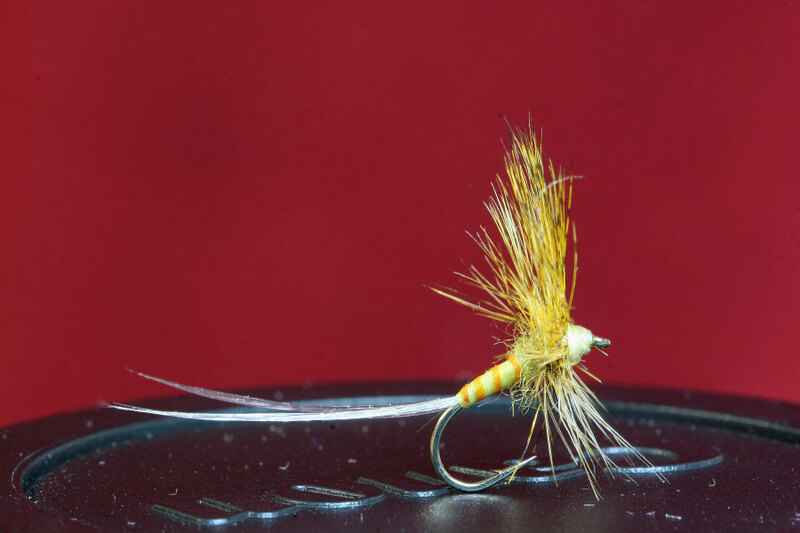 More width to avoid deterioration of the GDL fibbers of your flies. Take advantage of our promotion! 100 units PM + waterproof gift special box. 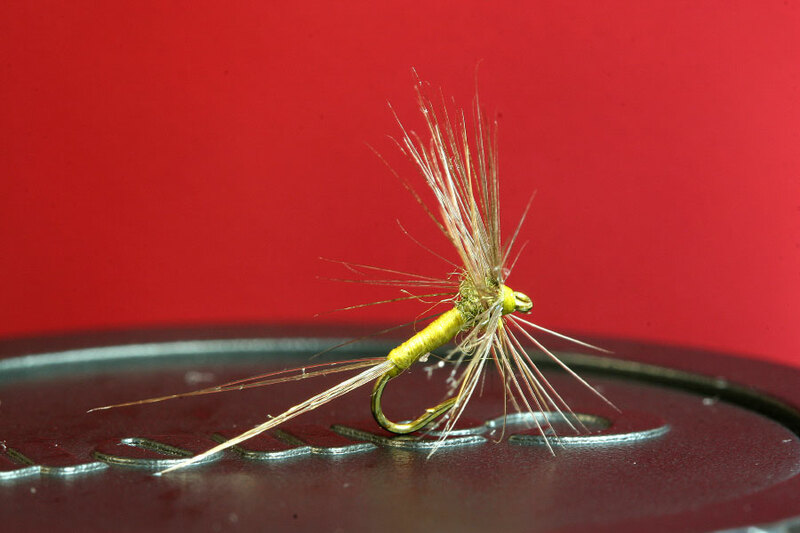 More bottom to avoid deterioration of the GDL fibbers of your flies. *Important! You can elect the colours existing or to solicit a body and ribbing colour personalized in the box: personalized order. 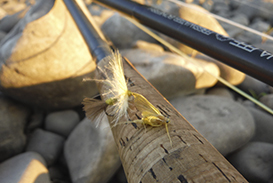 New Dry Fly Technique, Rod for fishing with dry fly. Free Shipping Cost in Spain. 10€ in Europe and 30€ outside Europe. The biggest flies of the family are included in this series. 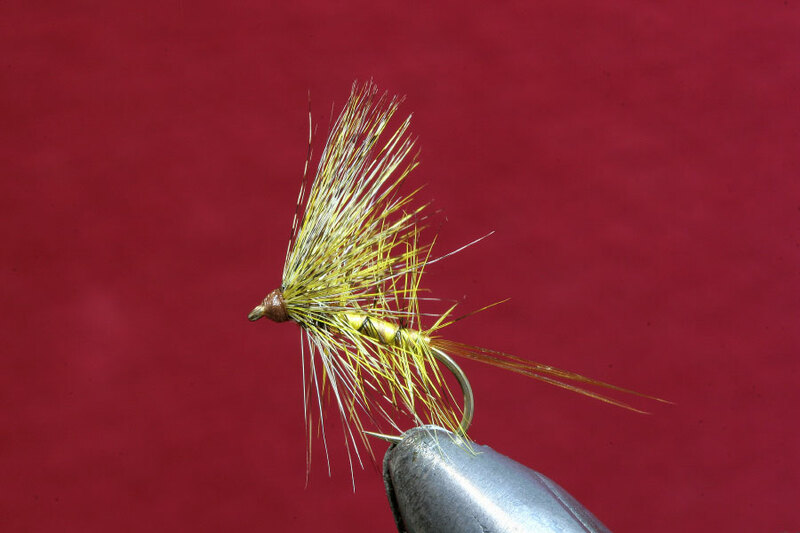 A "palmered" hackle is part of the design in this series. 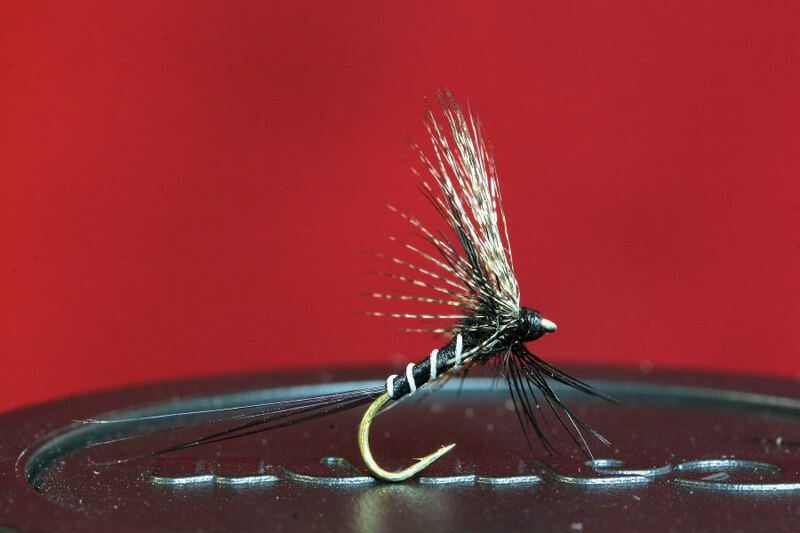 The body hackle gives the fly mobility in the water and makes it more effective. This is the series where the most important pattern of the collection, the Original Pardón de Meana, can be found. 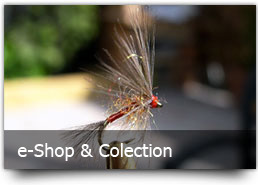 A large number of medium and large species of mayflies are included in this series. The fluor models are variants of the traditional pattern but tied in "parachute" with a post orange fluor. 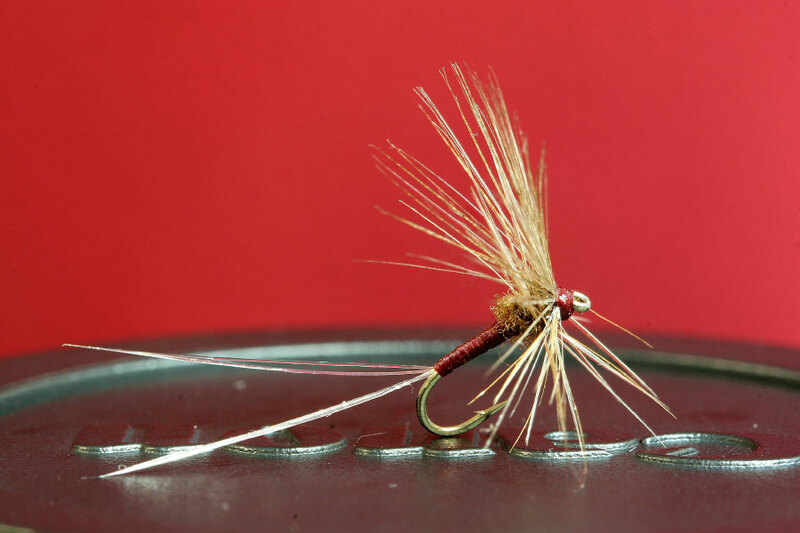 This style add a great stability to the fly. 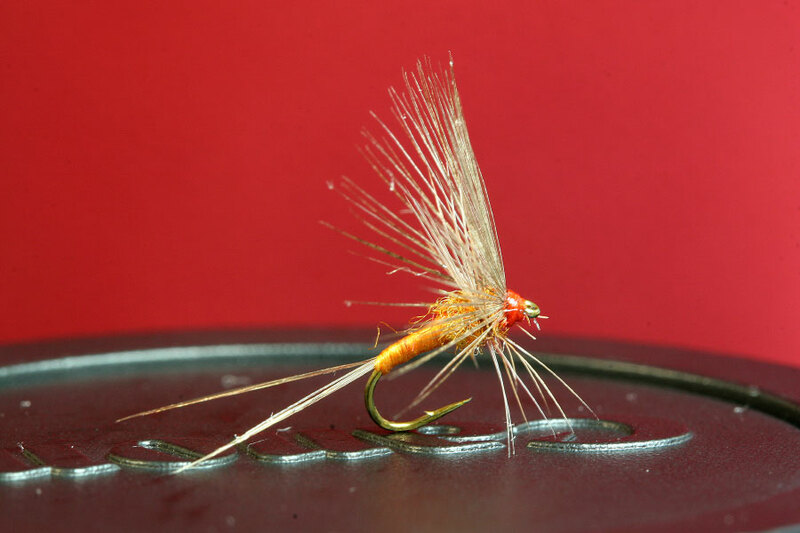 They are the most indicated for fishing in fast streams and difficult conditions of light. This is the intermediate series. It is probably the most commonly used series. 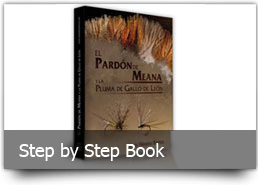 Here the Feathers of Gallo Indio de León are the centre of attention. 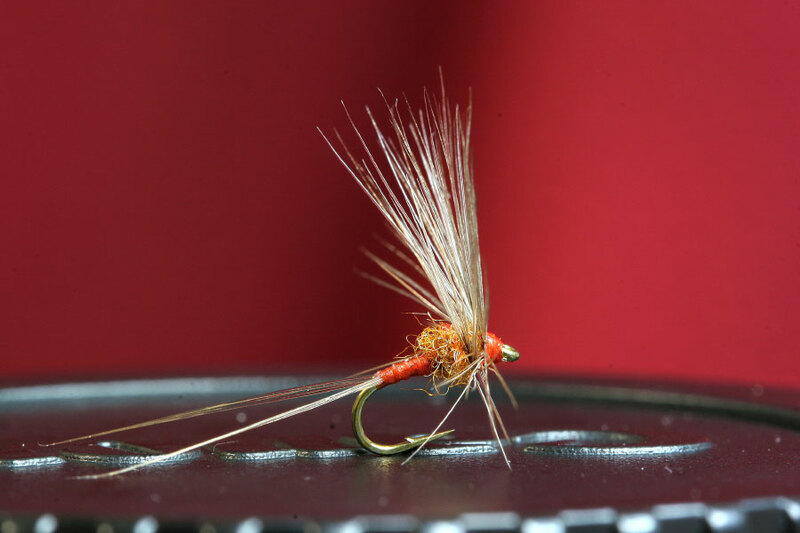 These flies are big enough to be used in turbulent water, but are sufficiently discrete to be also effective in moderate or slow currents.It is the most versatile series. 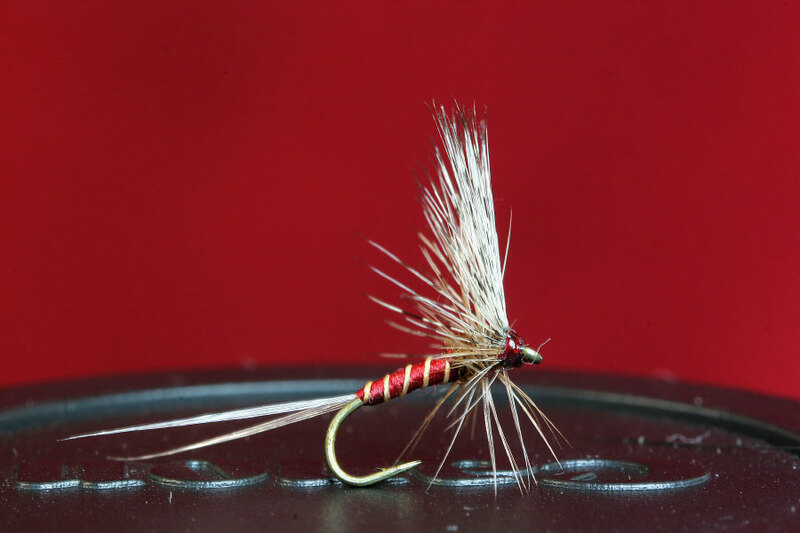 The patterns that compose the PM18 series of tying are the smallest of all the collection.. 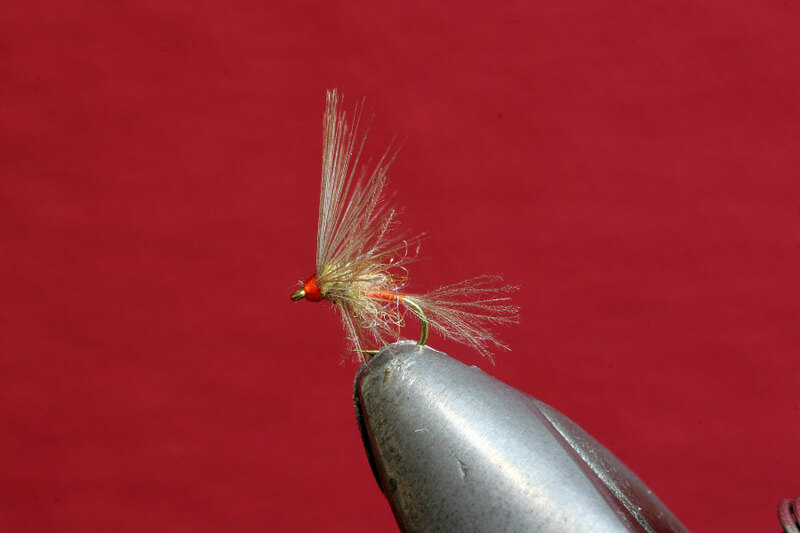 These flies will imitate the smallest flies of the family; small Baetis and Ephemerellas of different shades, where feathers of Gallo Indio de León are the key ingredient. 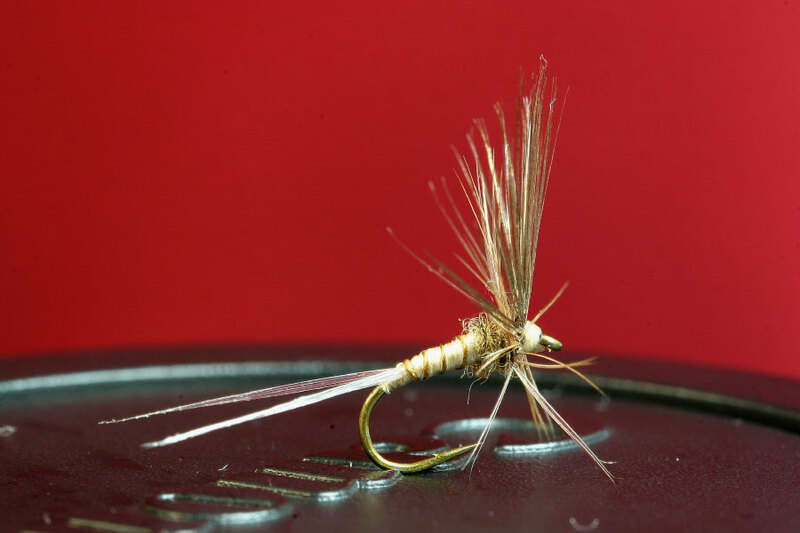 It is in the most difficult, and slow parts of rivers, where the great specimens often lie, where this small tying comes into its own. 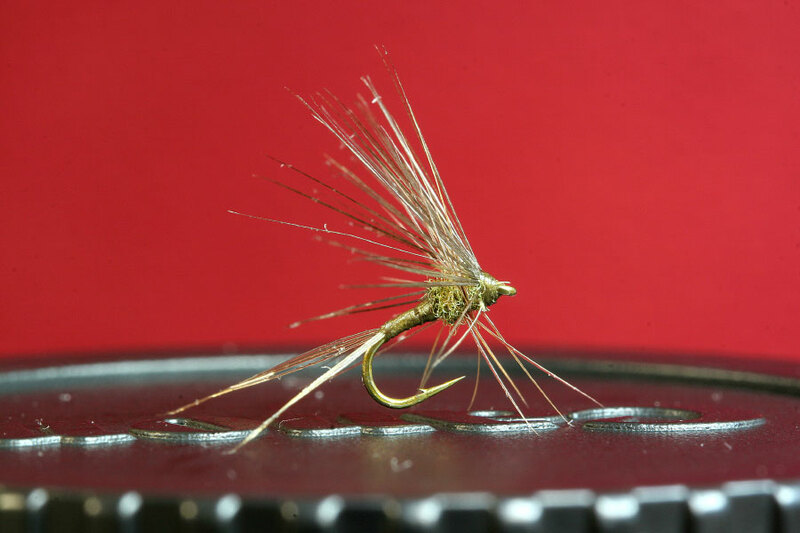 Another feature of the smallest of the Pardones de Meana is that it is a very minimalist, light fly. 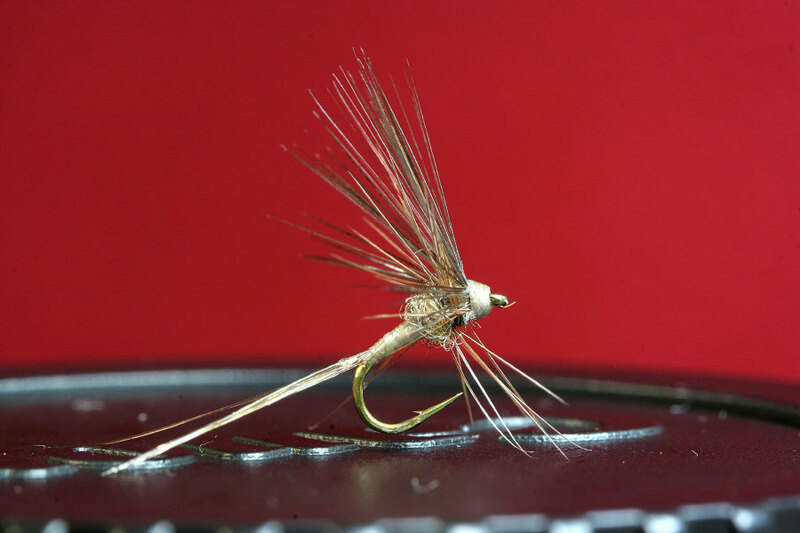 The result will be that the softest breeze will generate a movement in the imitation that will excite trout. We are practically talking about an imitation with its own movement, with its OWN LIFE! Now we come to the last two series of the Pardón. 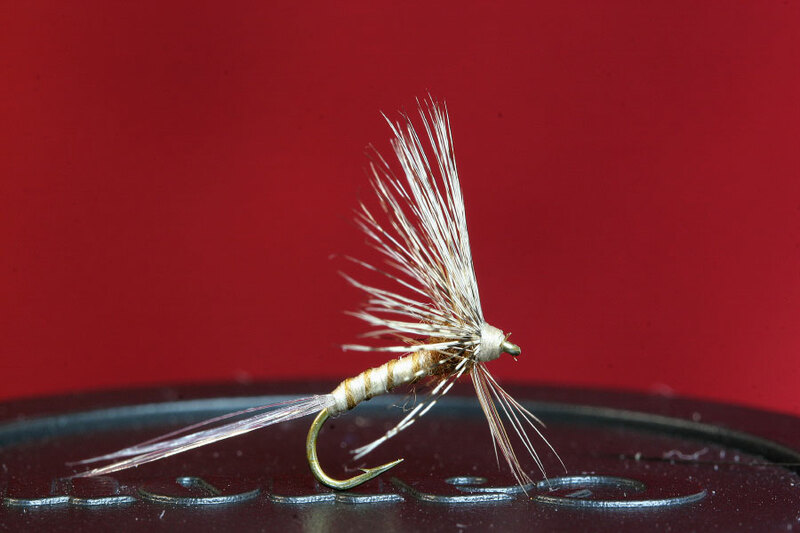 It is an evolution that introduces us to the exiting world of the emerger. 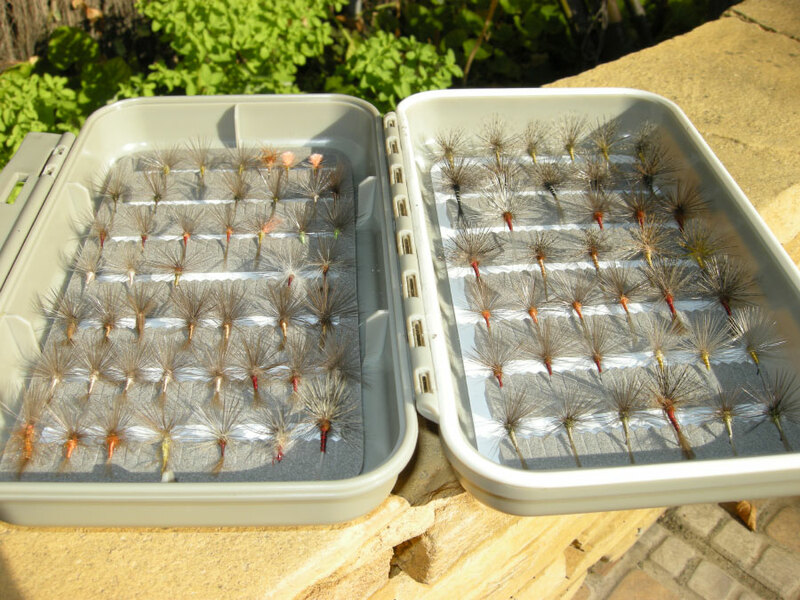 For many people, these are the most effective dry flies. 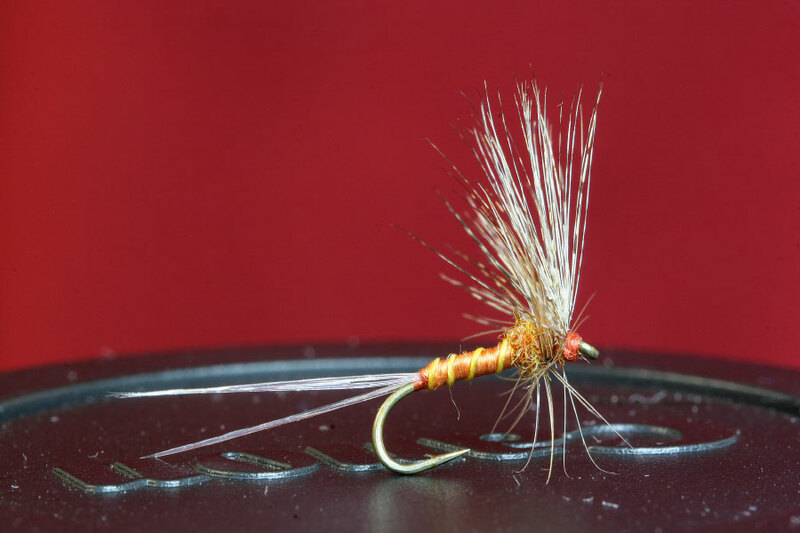 These are flies with unbeatable floatability and visibility; and what is most important: in many cases they exceed in effectiveness traditional tying, something many considered impossible at the beginning. Waterproof special box whit more width to avoid deterioration of the GDL fibber. Solid silicone grease (Cortland Dab) to group and to float the tails of your PM. Take advantage of our promotion! 100 units PM + waterproof gift special box. 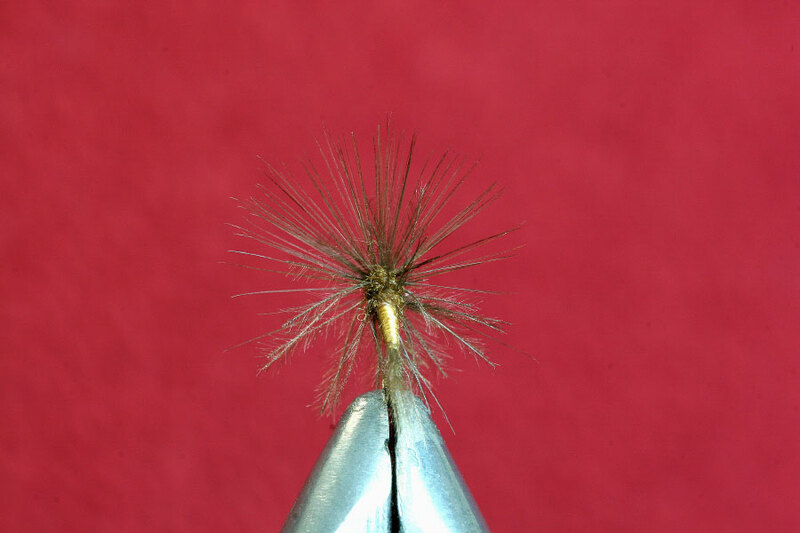 More width to avoid deterioration of the GDL fibbers of your flies. Please, complete the form fields, choose the payment method and click on send button. Later we send you a message with the payment instructions. *Require clicked in the payment option. *Please, indicate if you prefer barbless hook in the comments field.